Swann security cameras are an awesome way to add a level of security to your home or anywhere you want. Besides telling what’s happening around the house, who goes into and leaves your property, they’re a great way to deter potential criminal activity. Swann Security allows you to keep a clear vision on everything. If something goes missing or if you have a break in or if the police are looking for someone in the area, then the camera footage will tell you in explicit every single detail. The Swann security provides it users with the ultimate technological cameras and alarms to stay tune on what happening in and out their houses. The camera provides high quality and crystal clear video images facial features, license plate numbers, clothing colors and other important identifiers captured by 4K Ultra HD Cameras. You can easily and effectively connect your home security to the internet and you will be able to remote and control all your home security devices by just using your smartphone or a relevant application. Swann security systems are highly customizable and available as do-it-yourself kits or as full-blown setups that include professional installation and monitoring. Overall, the main reason why we need a security camera system is simple; it provides you with the peace of mind in knowing that your family and your home are secure, whether you are at home or on the road. However, When it comes to outdoor security cameras and systems protection, people often ask these common questions: how do people keep bugs or spider away from security cameras? how do people protect camera from rain, theft or damage? How do homeowners prevent outdoor surveillance cameras from fogging up or clouding? that’s why when you are thinking of installing a security system in your house it is essential to consider security camera housings. The security camera housings are designed to protect cameras against the weather, rust, dust, corrosion and more. They are usually sufficient. These cameras do not specialize in any particular type of protection, but they are usually durable enough to protect your camera through normal rain and storm patterns. The location and what you need to monitor will determine whether obvious or discreet cameras are required. Box cameras can be some of the largest and most obvious, reminding people that they’re being monitored and reducing the chance of theft. All security cameras require a central video recorder to transmit and archive the footage captured. Now here is why you need a DVR (digital video recorder) security camera system. The dvr security camera system provides a better performance; the qualities of the photos captured by the camera are more consistent and reliable. The camera with its ultra-wide 360 degree covers a full range coverage view especially when it’s located in the appropriate spot. Moreover, the view angle can be easily controlled by your mobile phone which makes the whole operating system much easier and more rewarding. A DVR system uses cameras connected to the recorder by coaxial cables. The DVR itself is a computer but it has a special type of card in it, called a video capture card. The card will have one connector for each camera. This is how it knows what video came from which camera. 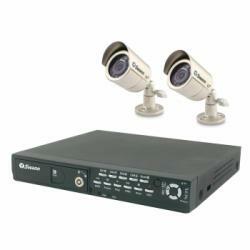 DVR security camera system allows for higher quality video and a lower level of maintenance.unfortunately, this type of systems does not connect to the internet (and do not have the capability to). They are closed circuit systems, which mean they are only connected locally to each other and not to any networks. Installing home security systems can be the best thing you can do to keep your surrounding environment safe and under the cameras control .Thanks to the DIY system, you can actually install it yourself. The home security systems provide the flexibility and the knowledge to choose how and when to monitor your home security. At HTK Home Security, you can find best affordable home security systems. Depending on your needs and preferences you can choose the system that you can monitor yourself without the need for professional surveillance backup. There are plenty of security devices available, everything including camera, doorbells, lights, door locks and openers, sirens; alarm system, storage, detectors and so on are provided in different designs and brands. These security devices will keep you safe by monitoring it from wherever you are. In addition to monitoring your home’s activity with door sensors and motion detection, many home security systems also support cameras, either inside or outside your home. This is a nice feature to have if you want to build a complete security system, but cameras aren’t necessary if you just want to secure your home from intruders or monitor for emergencies. Nothing is more important than knowing your family and property are safe and well protected. 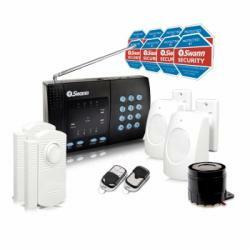 The wireless security alarm system is a way to go since it does not require either technical or manual installation. Wireless networks are equipped with modern bells and whistles of the latest security technology thus making work more accessible. It has a base station and system control panel, which are the brains of the system. Additionally, the wireless security system can be battery powered and connected via wireless cellular technology. Key components can be connected through radio signals from the wireless alarm systems. Lamp modules are smart light timers that can trick burglars into thinking someone is at home. Sensors and detectors play a role of sending information from the sensors to the control panels and can be used to detect forced burglary. Presence of sirens helps in scaring away thieves by giving alerts. These components can be installed anywhere around the premise as long as they are within the range of the control panel. Control panels are the central operating system and can be convenient and safe. They can be easily upgraded and expanded with changing security requirements. Swann security camera is used for both indoor and outdoor activities to offer you a variety of choices to help you protect and monitor your home or business while you are away. It is Wi-Fi free and wire-free therefore allowing connectivity of security cameras to a recorder or app to control your property from anywhere. Examples of Swann security cameras are 5mp super HD thermal sensing bullet and 4K ultra HD sensing camera. 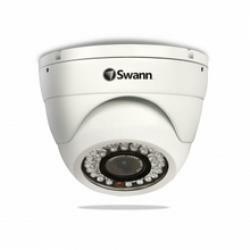 Swann security camera has a variety of equipment such as video drones, video doorbells, alarms, sensors, and CCTV recording cameras. When choosing Swann security cameras, one should consider factors like motion detection, the angle of view, image resolution, storage capacity, and quality to determine the value of the product in the market. Benefits of a Swann surveillance system for multipurpose use includes; Self-contained DVR and NVR system that provides a record of any activity, it is easy to install, monitor and activate DIY system, cameras provide high quality and clear images both during the day and night, has a weather-resistant design with sunshield for indoor or outdoor installation and finally, it operates through a motion detector to save battery life.